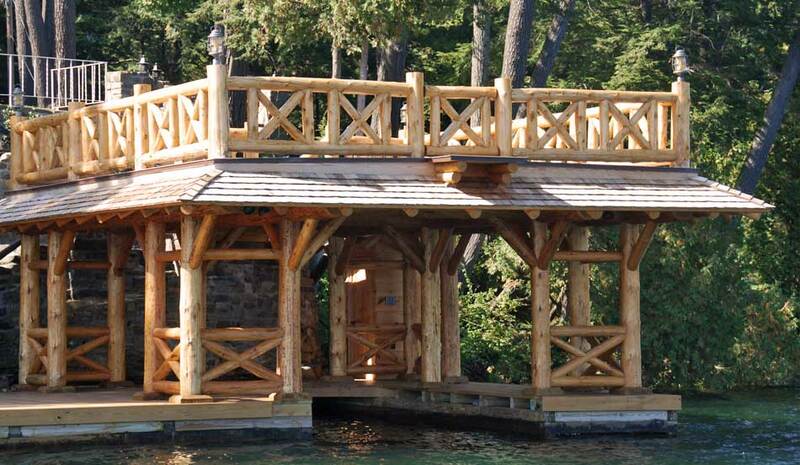 McCall Construction Lake George Adirondack Builder. Custom Homes, Boathouses and Furniture. Cozy 2000 square foot home designed to fit comfortably on a narrow lot. Traditional Adirondack design features coupled with modern technology. 3200 sq. 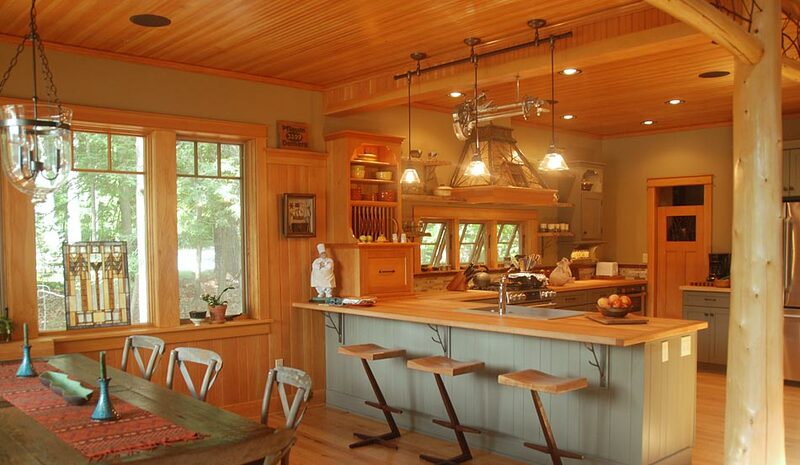 ft of rustic detail and a creative use of wood and texture make this lakehouse home feel natural. While no two McCall homes, including the staircases are exactly alike. They do have one thing in common, master craftsmanship not seen in most construction. 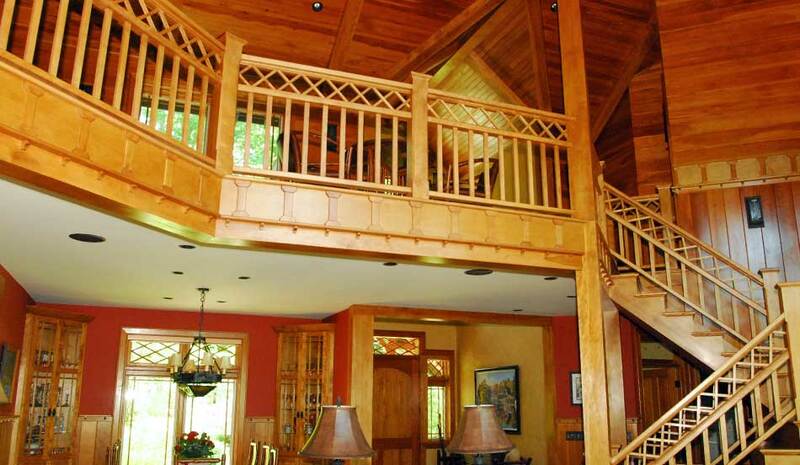 Constructed in our spacious wood shop in North Creek and re-assembled in its place. We are equipped to build most anything, anywhere! Doug McCall and his team makes an art form out of building even the simplest things. 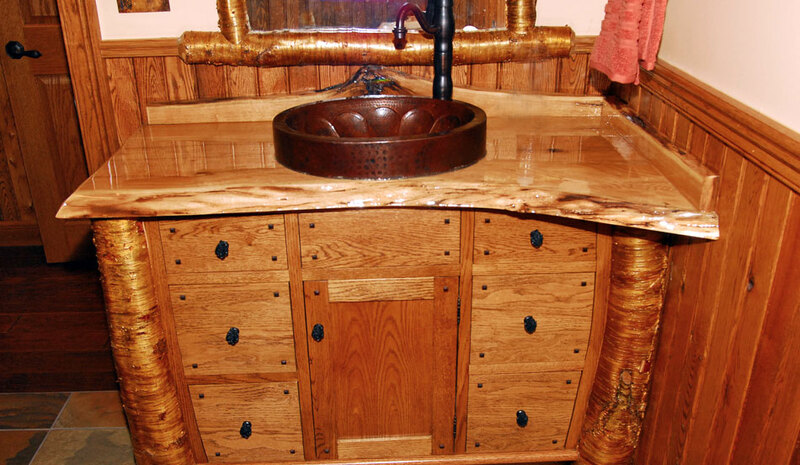 Bathroom vanities, custom cabinetry for the kitchen, beautiful bar rooms and shelving. You name it. At McCall Construction of North Creek, New York, traditional Adirondack design blends seamlessly with state-of-the-art building techniques. 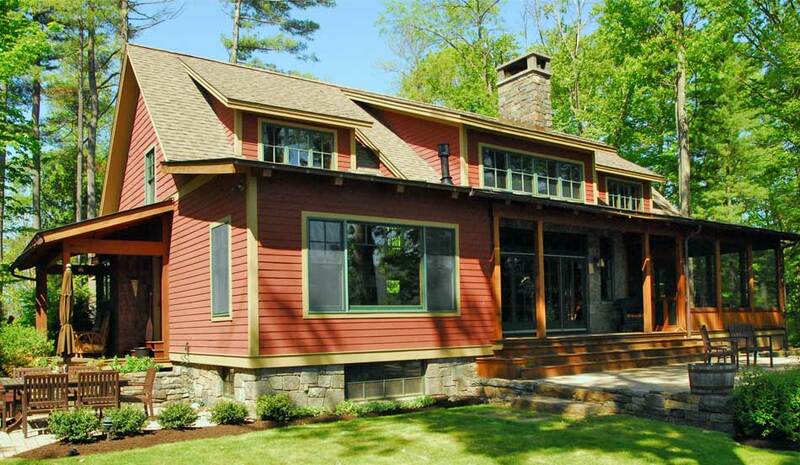 We specialize in building custom homes, lake houses and boathouses using construction techniques that are true to the traditions of Adirondack architecture. This includes the use of natural materials like logs, bark and river rocks that reflect the style and craftsmanship of the Great Camps of the 19th century. The beauty of the surrounding natural environment of the Lake George and Adirondack region inspires our designs. Just like the diversity you find in nature, no two homes that we build will be exactly alike. If this is what you've always imagined when you see your dream home, let McCall Construction work with you to make it a reality. Reclaimed wood, tree-stump table. Simply rustic.